Custom Spun Dye by Mt. Disc Co.
James McLaughlin uploaded this picture. Is this part of the player pack? Can you buy them at the tournament by chance? The full color discs with MT Disc Co spins and pDGA number will not be available for sale later. 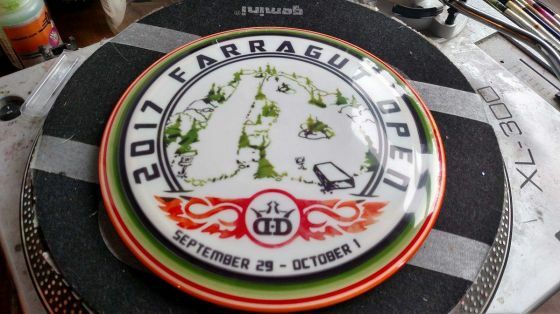 The discs without PDGA number and spins might be for sale, but we tend to not do very well with sales AFTER and during the tournament.